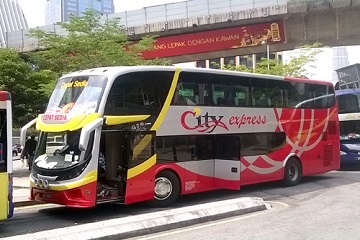 City Express is a famous bus operators across Malaysia and Singapore. 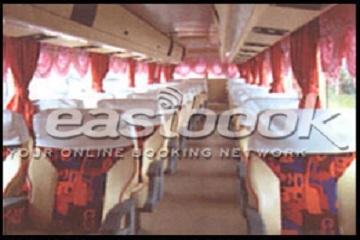 It is one of the leading coach company that provides safety, comfort, convenience and affordable bus services for many Singaporeans and Malaysians since 1989. 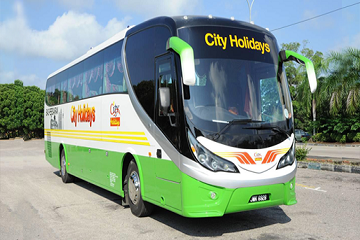 City Express offers great choices of express bus services that depart from Johor to Selangor, Perak, Kuala Lumpur, Penang, Kedah, Kuala Lumpur and Perlis with more than 50 bus routes daily. Besides, City Express also offers bus services that depart from Larkin Terminal Johor Bahru, Masai and Pasir Gudang as well. Popular routes include buses depart from Johor Bahru Larkin Terminal to Klang and Shah Alam with over 10 routes per day. City Express has more than 30 routes each day from Johor to Terminal Bersepadu Selatan, Kuala Lumpur. 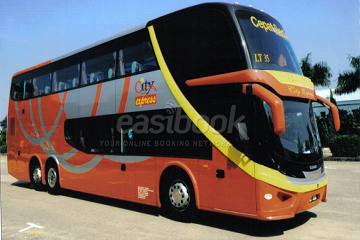 Nevertheless, City Express provide tour packages service and charter coach services too. The buses operate by City Express are mainly 27 seaters single deck, 30 seaters single deck and also 45 seaters double deck. All of the buses are equipped with air-conditioning, television and wifi. Sufficient leg room and comfort seat are available for all passengers. In addition, the drivers are well-trained and professional to ensure the safety of your journey. 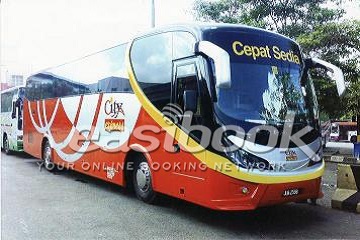 Book City Express bus ticket now at easybook.com. Kaunter 3, Tingkat 1, Pudu Sentral, Jalan Pudu, 50100 Kuala Lumpur, Malaysia. Kaunter 62, Terminal Bersepadu Selatan (TBS), Bandar Tasik Selatan, 57100 Kuala Lumpur, Malaysia.